Only tears of joy allowed with Sooki baby clothing! I’m a long-time fan of Sooki baby, their clothing is both fun and funky, modern and fresh while remaining child-like and suitable for babies and tots. For those who have older children but love the Sooki Baby label, you will be delighted to hear there’s a new line for bigger kids! SoSooki has launched and is the collection that fits children aged three to seven! There’s printed tees, skirts, shorts and dresses galore for big kids – boys and girls. The new Summer range from Sooki Baby is nothing short of fabulous for both little girls and little boys. All pieces are designed to cleverly mix and match and with seven new themes to choose from, you’re bound to fall in love with at least a couple of pieces! The themes that make up the Summer collection are gorgeous. My favourite is ‘One Day In France‘ with its medley of crisp red, white and navy accompanied by printed tees and striped trims with definite French flavour. ‘Me Martian‘ is fun and funky for the lads in black, white and lime green. I love the snazzy Tux Suit romper! The Sooki Baby range caters for sizes 000-2, using quality fantastic quality fabric and has a gorgeous slim fit. 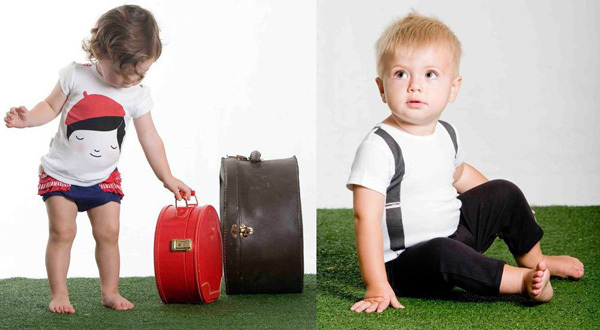 To see both Sooki Baby and So Sooki head on over to stockists Little Styles.